But dessert that tastes great and has protein in it so that it helps to keep you full and doesn’t give you a big ol’ sugar crash like some sweet treats? Here are five types of protein-filled desserts doing that for us now. Right now. 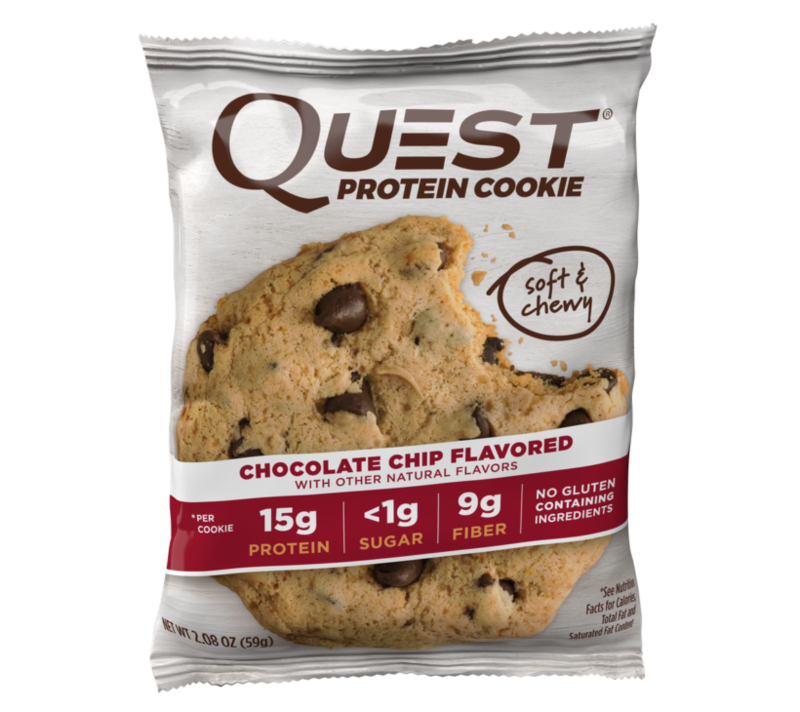 Quest Protein Cookies: You know Quest Bars? Well, these are like those, but softer, more cookie-tasting and shaped like a cookie — which makes them pretty darn rad. With 15 grams of protein, no gluten-containing ingredients, only 1-3 grams of sugar (depending on the flavor), and 9+ grams of fiber in each, they’re great to have on hand. They come in Chocolate Chip, Double Chocolate, Peanut Butter, and Oatmeal Raisin flavors — but, we’re really partial to the Peanut Butter cookie. 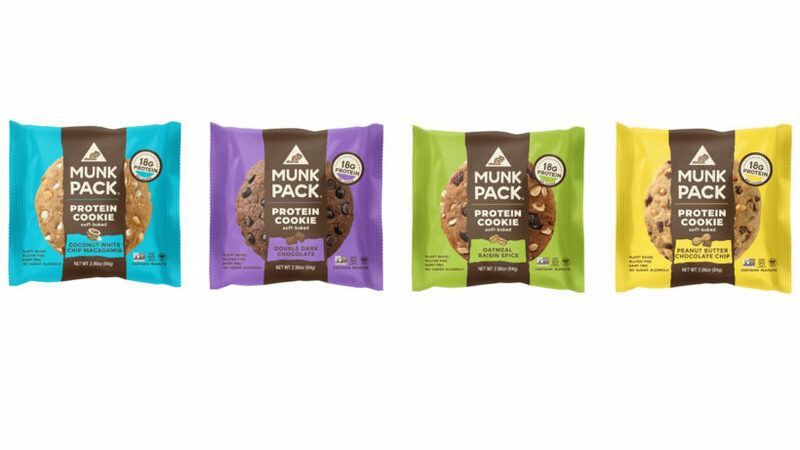 Munk Pack Protein Cookies: If you’d like your protein cookie to be a little more plant-based, Munk Pack Protein Cookies just might be your jam. With 18 grams of plant-protein per cookie from nut butters and grains, these are also gluten-free, vegan, and non-GMO. In yummy flavors like Oatmeal Raisin Spice, Coconut White Chip Macadamia, Peanut Butter Chocolate Chip, and Double Dark Chocolate (our fave! ), these are super tasty and contain no sugar alcohols, trans fats, dairy, soy, or eggs. Note: these are really big — so consider sharing with a friend! DIY Protein Cookies: We love this recipe and this one! 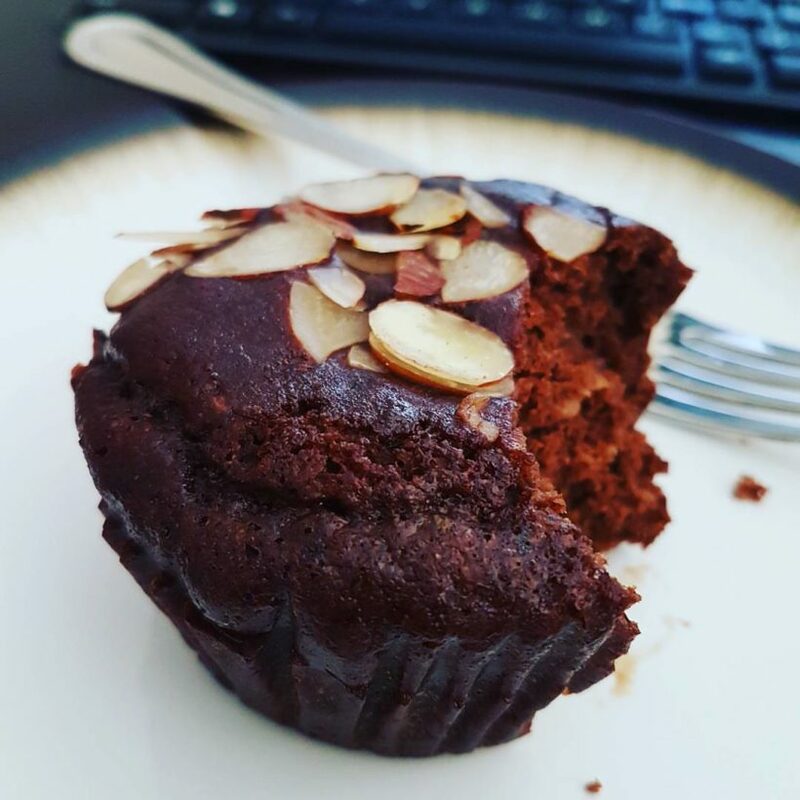 LIFT Protein Muffins: Each of these protein-packed (18-19 grams) muffins are paleo, gluten-free, made of fruits and vegetables, and free of artificial flavors, colors, or sweeteners. They’re marketed as a meal replacement, and while we do dig them for a quick on-the-go breakfast, we also like them as a sweet treat after dinner. DIY Protein Muffins: Make your own protein-packed banana bread muffins or this single-serving chocolate-chip pumpkin muffin in a mug. 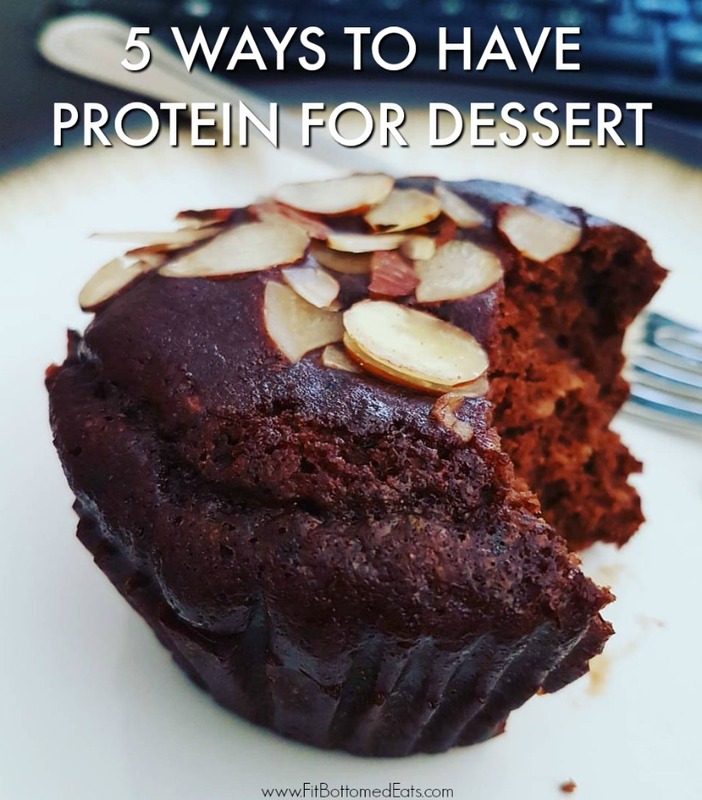 DIY Protein Cake: Everyone loves High-Protein Molten Chocolate Lava Cake! 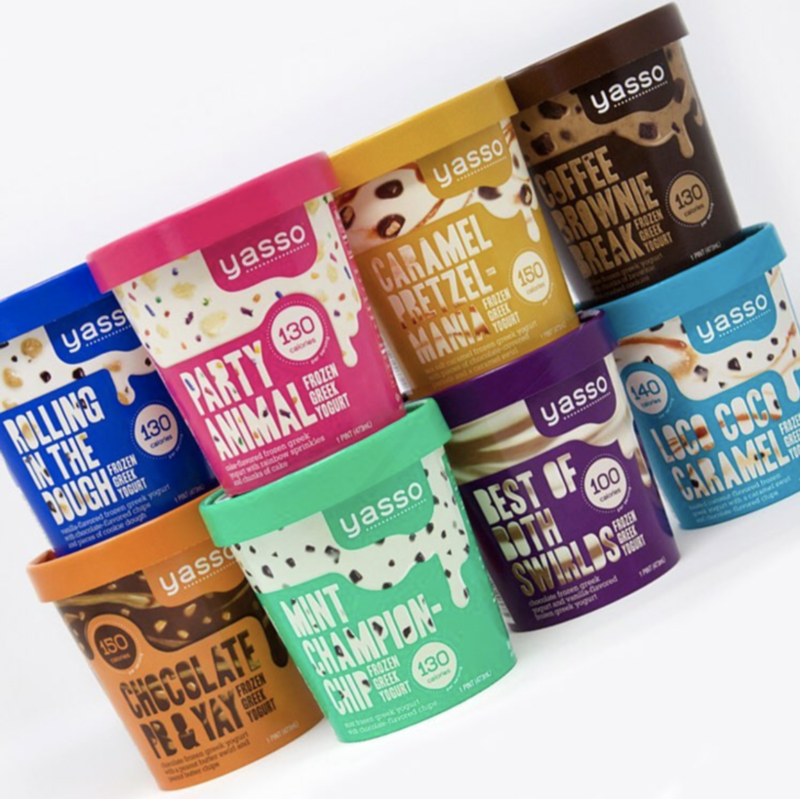 Yasso Frozen Greek Yogurt: A little tangy and pleasantly sweet (without being overly sweet), we are smitten with this stuff. 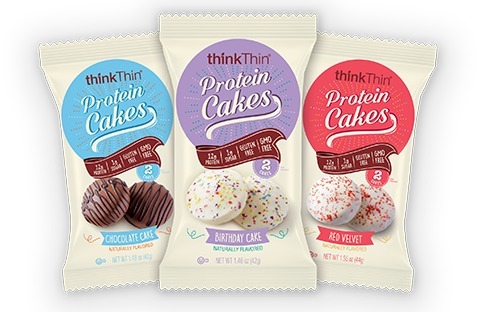 Each serving has about 6 grams of protein and comes in the fun flavors you see above: Best of Both Swirlds, Caramel Pretzelmania, Chocolate PB & Yay, Coffee Brownie Break, Loco Coco Caramel, Mint Championchip, Party Animal, and Rolling in the Dough. Plus, these have probiotics in them! DIY Protein Ice Cream: So easy to make at home with this recipe. 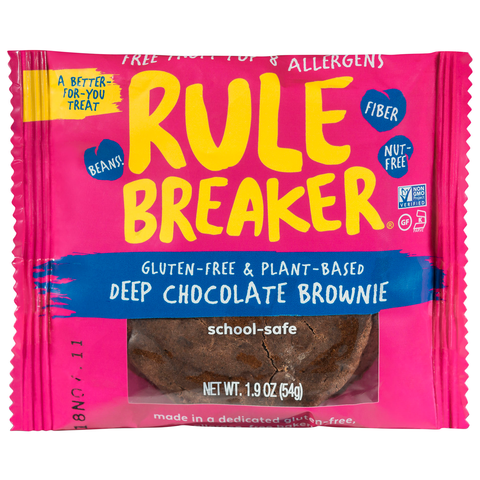 Rule Breaker Deep Chocolate Brownie: Formerly known as Pure Genius, these brownies are rich, fudgy and full of goodness. Vegan, gluten-free and made with chickpeas, these boast 3 grams of protein, 5 grams of fiber, and are the perfect size for a chocolaty treat. DIY Protein Brownies: Make your own Black Bean Brownies!